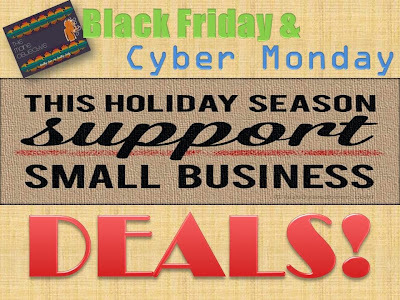 The Mane Objective: SALE ALERT: Black Friday & Cyber Monday Deals From The BEST Small Businesses!!!! 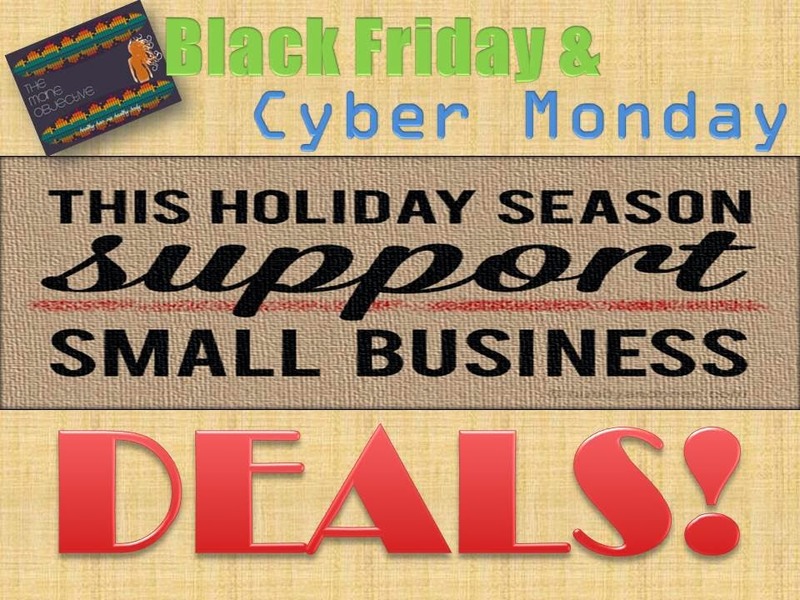 SALE ALERT: Black Friday & Cyber Monday Deals From The BEST Small Businesses!!!! Code: Like www.facebook.com/My-Honey-Child for codes and to view the super secret Cyber Monday Deal! I Recommend: Coconut Mango Hair and Body Butter, Black Soap Body Scrub, and any soap. Seriously. But my favorites are the Oatmeal and Honey, Yuzu, Charcoal, and Pumpkin Latte. More small businesses will be added! Check back often!!! I Recommend: I haven't gotten any of their goodies yet, but I am very much looking forward to the Green Tea and Aloe Vera Butter! FYI: For all naturals in the DMV area, Tree Naturals is having their very first Pop Up Shop on Small Business Saturday (11/30). Check out www.facebook.com/TreeNaturals for more details! Code: MUST BE ON THE MAILING LIST FOR THIS OFFER - sign up here: http://bit.ly/Wryc5F. After 8am, discount is 20% off + free shipping on all orders over $35 thru 12/1. I Recommend: Even though it isn't included, the Carrot Seed Clarifying Shampoo Bar is really worth it! The M3 Curl Quench is also a great pick! *MANE OBJECTIVE READER BONUS* - In the comments section on the order screen, type "Mane Objective", and you'll get a FREE surprise 4oz item! I Recommend: I'm waiting for my Cream and Coco goodies to show up at my doorstep, but I am all the way excited about the CocoMallow Cowash, Island Nectar Cleansing Milk, Goji & Aloe Nectar, Salted Caramel Brule, and Curls For Days Hair Pudding! *MIDNIGHT DOORBUSTER* on 11/29 from midnight to 3am EST all orders over $75 will receive a Soultanicals Tee and Mini Bath, Body/Soul Care Gift Set. I Recommend: Do yourself a favor, and grab Curl Blaze Hair Glaze, Fluffalicious Curl Nutricious, Knot Sauce, and HerShea Love Polishing Fudge. I Recommend: I love all of their products, but the Honey Miracle Mask and Sulfate Free Shampoo will change your life. The Replenishing Conditioner is also a game changer!!! I Recommend: The Q-Redew for EVERYTHING! Pre-pooing, detangling, deep conditioning, refreshing, filing your taxes... I'm kidding about the last one, but seriously. It pays for itself several times over. It's Black Friday for a MONTH! Deal: Buy One, Get one FREE on all products! I Recommend: Sapote Hair Lotion, Chocolate Hair Smoothie. Seriously, that Sapote Hair Lotion is IT! I Recommend: Cafe Au Natural Coffee Conditioner, Lino Moist, Growth Foundations Pomade. I Recommend: I haven't tried any of their goodies yet -- but I'm going to explore!!! I Recommend: I haven't had the pleasure of trying any of these goodies either... I'm heading over to check some thangs out now! Fabulous info. I've been making my list. Thanks! Do you still like the Shescentit macadamia fix?